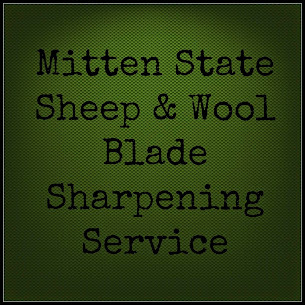 Mitten State Sheep & Wool : Ravellenic Games, 2014-Go! Cabin Fever is in full swing! Thankfully, I have been keeping my hands busy with a new project. I signed up for Ravellenic Games 2014, an Olympic Party on Ravelry. I decided for my challenge I am going to make a blanket. 49 squares in 16 days. I know that is a tall order, and I am pretty sure that I am not going to complete the project in time, but it will be interesting to see how many squares I do manage to get done. You will find me knitting squares! Anyone else signed up for the Ravellenic Games? Sounds like a good way to spend your time being snowed in! I can't wait to see how much progress you make on the blanket. Have you tried Marino, Button? That's pretty soft and I don't find it itchy. A blanket sounds like a great late winter project. 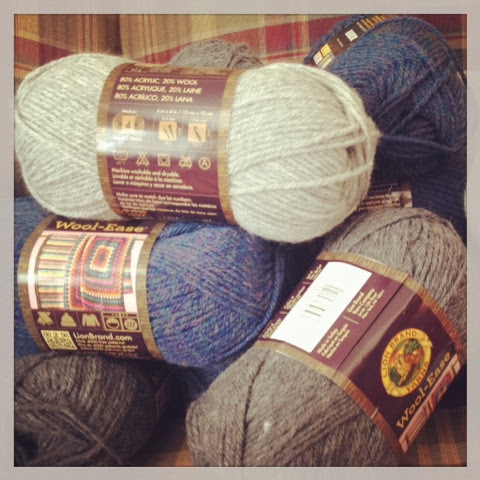 And I love Wool-Ease yarn; I have a large container stuffed with about 30 skeins of it. Hope your project gets off to a great start. It's always exciting to start a new project. Good luck with your blanket! What a fun challenge. I bet your blanket turns out great! How's it going? Or are you out snorgling lambies :-D.